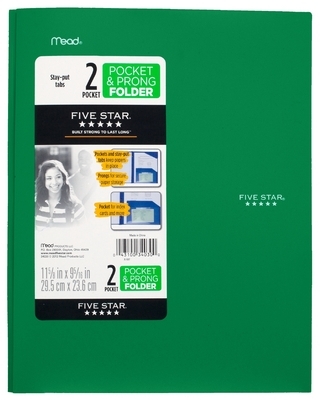 Five Star StayPut Pocket & Prong Folder ensures your papers stay neatly inside the folder. Features 2 pockets with stayput tabs to hold page corners and 3 prongs to secure hole punched sheets. Durable onepiece construction LASTS ALL YEAR.